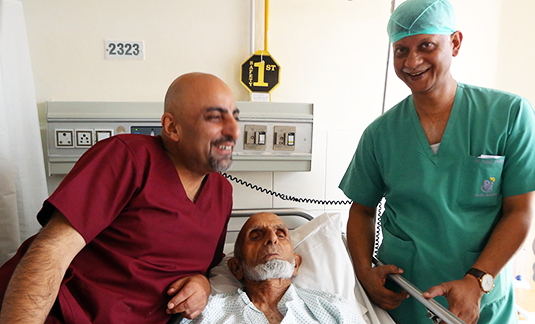 110 year old man beats back stomach cancer with the help of Dr Sameer Kaul and his team at Onkaulogy Kombine. 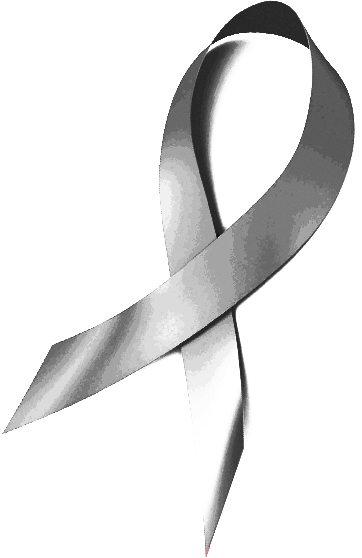 | Onkaulogy Kombine, cancer specialists, surgical oncologists, cancer care team. Blog » News & Media » 110 year old man beats back stomach cancer. The Dar mohalla in Humhama, Badgam situated on the historical karewa (ancient limestone deposits) not very far from the Srinagar International Airport is bristling with activity, its people riding high on hope and thankfulness towards their patron saint, Sheikh Noorudin Wali of Chrar-e-sharif. They are also waiting to welcome back Haji Ghulam Rasool Dar, their revered dispenser of social and moral justice, a social activist par excellence, Chairman of the AUQOF Committee and the beloved Sarpanch of their area, along with his family members spanning 4 generations. All his life, Ghulam Rasool has toiled for his family and almost every needy and destitute person in his entire geographical area through the Dogra Rule. This continued right up to a month ago, when he visited the local police station to get under-aged stone pelters released from police custody. He currently owns and runs Goodwill Constructions, a turpentine oil-manufacturing unit commonly used for road-laying work. A persistent bout of nausea and vomiting during the recently concluded month of Ramadan compelled Ghulam Rasool to make a trip to the local medical practitioner. He had recently celebrated his 110th birthday in the joyous presence of four generations of his extended family and had led a generally healthy, medicine-free life. An upper GI Endoscopy performed next revealed a surprise and a shock. A large cancerous tumor was seen occupying the stomach cavity and obstructing the passage of food. A cherisher of delicious Wazwan and all things good in life, Ghulam Rasool would not take this turn of events lying down. For, how could someone who survived the tumultuous history of this beautiful but cursed land surrender without offering a fight? It did not require much effort to contact Dr Sameer Kaul, widely known in this part of the country more as a compassionate and empathetic healer, than as one of India’s foremost cancer specialists. The alertness of Ghulam Rasool’s mind, as also his will to live, touched Dr Sameer Kaul, whose ever-supportive family insisted that he take up the case. What happened next created history. The centurion underwent a six-hour long successful surgery of Radical Total Gastrectomy at the Indraprastha Apollo Hospital, New Delhi by Dr Sameer Kaul and his team. He sailed through the recovery phase and is smiling at the end of it, looking forward to a taste of the second century. Not only are you as young as you feel, but you are only as old as your organs are, so chronological age should never be taken at face value. A positive attitude and vibrant, conjoint family support exists even in today’s fast moving materialistic world. And shines through, as in this case. This story is also available in PDF format.